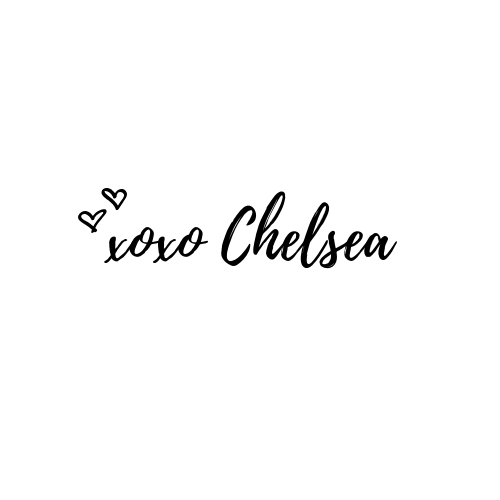 Hey loves! As you all read this, I have just arrived in Miami, woohoo! I am so excited to be heading out there to be seeing my boyfriend (long distance relationship struggles).. anybody else relate? That is besides the point, before I head out to very hot, humid Miami, I had to share this outfit with you all! 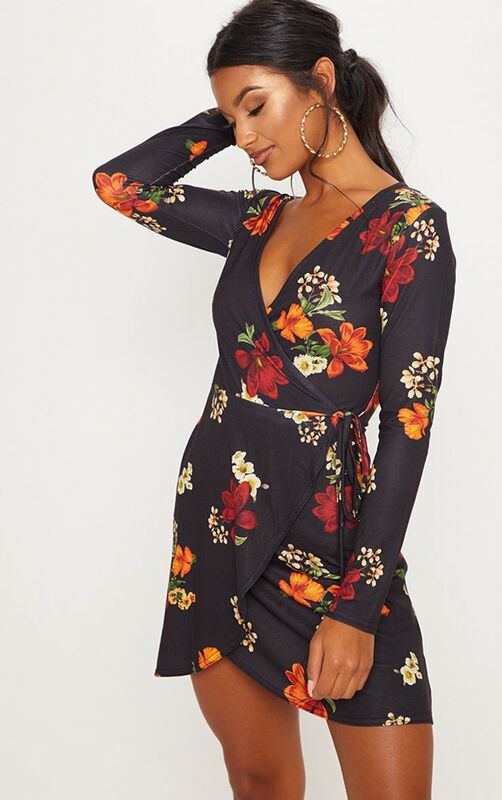 I usually am not huge into buying floral dresses, I am actually more of a solid color kind of gal, I tend to go towards the black dresses if I’m being totally honest, or anything dark. So this is something totally new in my wardrobe! However, when I saw this, I just knew I had to get it! Once I tried it on, I definitely wasn’t dissatisfied. 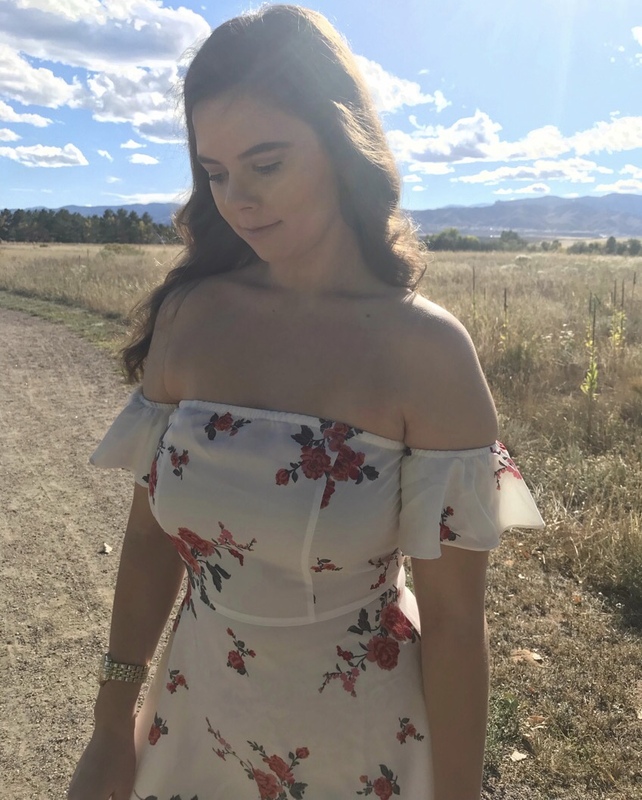 I was actually blown away by the fit, quality, and just how it complimented my figure! It may be Fall time and it may be starting to get cooler out where you live, however, for me, it’s still quite warm out, so I can get away with wearing this for a while. 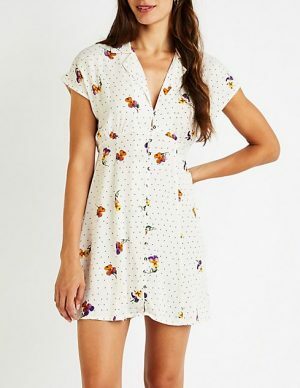 I also figure when it does get cooler out, this would be super cute with a cardigan or thick coat and some booties! 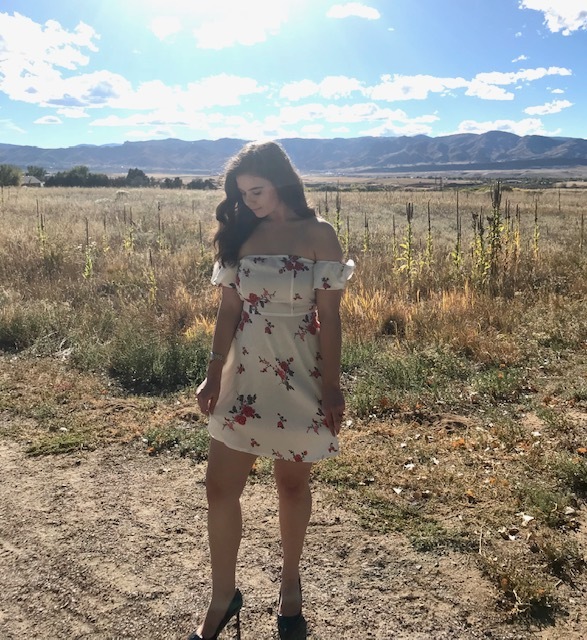 I got this Floral dress from Pretty Little Thing, you can find it right here and I will also link it down below! (I also know I have a relatively big UK audience, don’t worry, I got you! Here’s the UK link to the dress ) Bonus: Guess what? Looks like the dress is currently on sale! 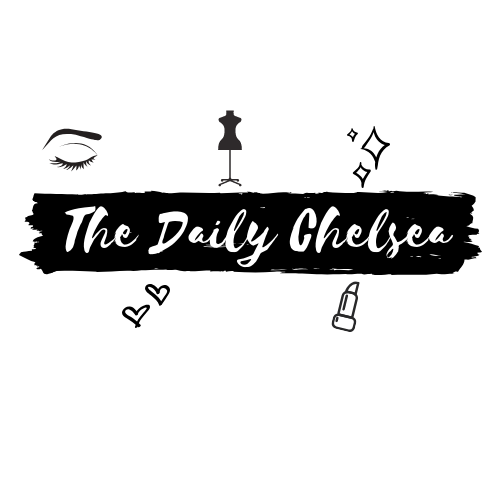 I absolutely love their fashion styles they offer and will be a returning customer for sure. 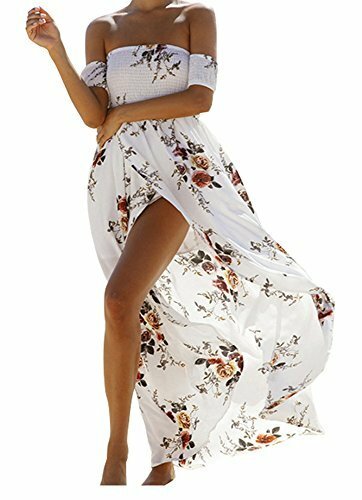 What do you think about the floral dress look? Would you rock it? Let me know in the comments down below! Yes definitely recommend this dress if you want to opt for something different yet comfortable & complimenting! That dress is so pretty! 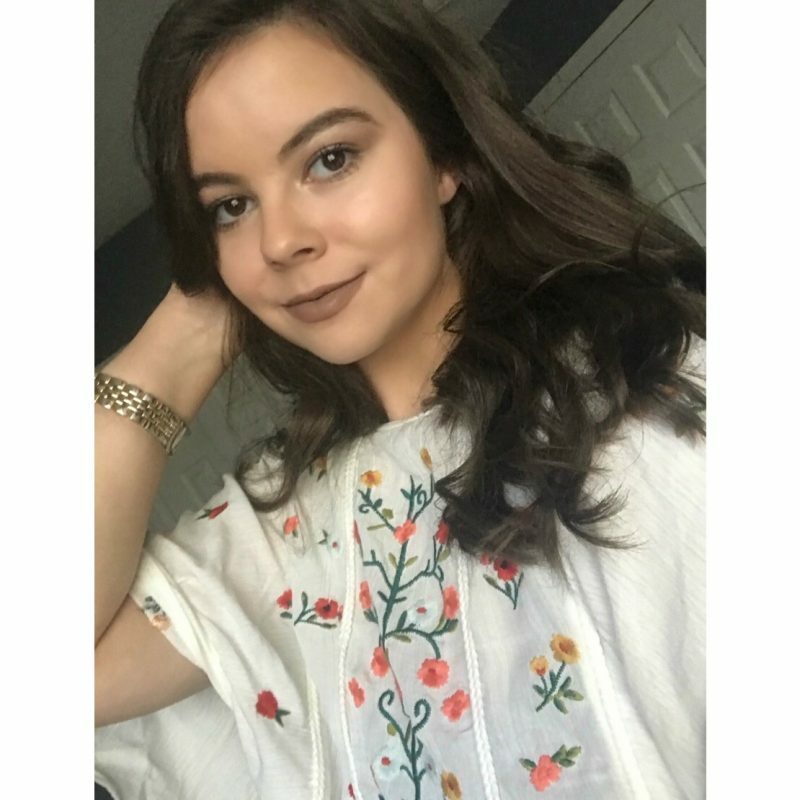 I love floral prints and have been wearing floral dresses all summer long! too bad it is too cold now! Yeah I am enjoying wearing this dress for a while now until it gets chillier, but definitely obsessed with the floral! That dress is gorgeous and it looks so so comfy too! it is for sure such a comfy dress and so gorgeous isn’t it? You look stunning here ! And I am very jealous of you going to Miami, it’s on my bucket list! Aw thank you so much lovely! Miami is definitely a fun place to visit! Thank you so much, isn’t it so gorgeous? I absolutely love the fit of this dress! Definitely one to check out! 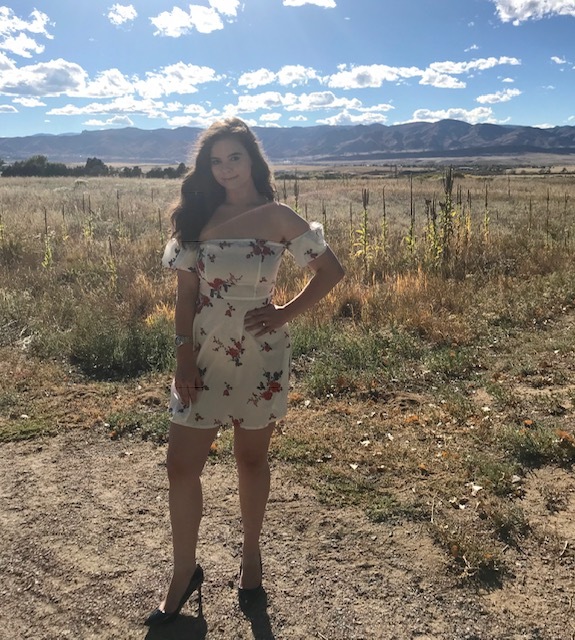 Such a pretty dress and it looks great on you! I actually have a ton of floral dresses. 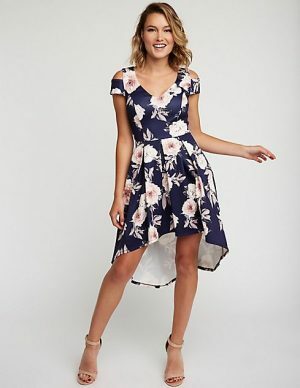 So much so that friends send me links to online stores when they see a “me” dress 😂 I also love Pretty Little Thing, they have so many great pieces! Aw thanks so much lovely, I love PLT!